It's not too often that I listen to an album and like every song, but I can definitely say that about this project. Sadly, I seldom pick up a worship album anymore and find a bunch of songs that are fresh and accessible for my church to sing, but Dance Again by Life Worship UK is a solid collection of original, powerful, singable songs that most church worship teams can pull off. I truly enjoyed every track, but I'll give you my absolute favorites. "We Believe" - I love the Trinitarian theme here. Great anthem for the Christ-centered church to sing. By the way, the Newsboys have a version of this song currently being played on Christian radio. I'll just say that they should be playing Life Worship's version instead...I'll leave it at that. "Dance Again" - Powerful, encouraging song - "Tears will dry. Your heart will mend. Scars will heal and you will dance again." "Jesus' Blood" - Beautiful song of surrender to our Savior who gave it all. "His Kingdom is Here" - Just try not to get goosebumps when you hear this song. "He reigns! He reigns!" "I Lift My Hands" - Simple and infectious. I find myself walking around singing this one. "This is My Surrender" - Heartfelt song of surrender and devoting our life to God. If you're a worship leader, get this album and get ready to find songs for your church. I can't wait to incorporate some of these into our rotation. 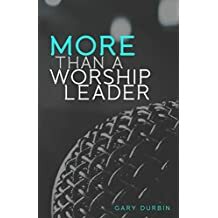 If you love worship music, you'll love belting these anthems out to God in church, your car or wherever else you listen to music. I'm always thankful for these kind of projects. They don't come around that often. Thank you Life Worship UK and Integrity Music for this release!